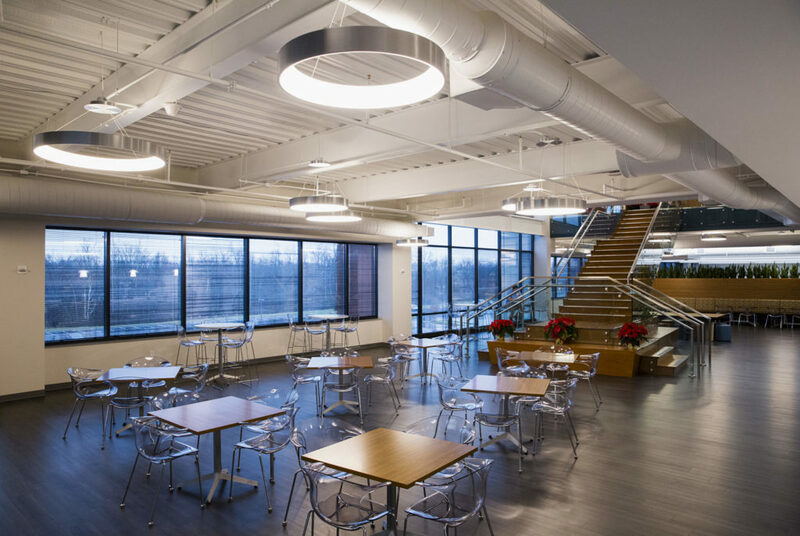 The RJE Louisville team recently completed a large new headquarters project for BrightSpring Health Services, formerly Rescare, in late 2018. 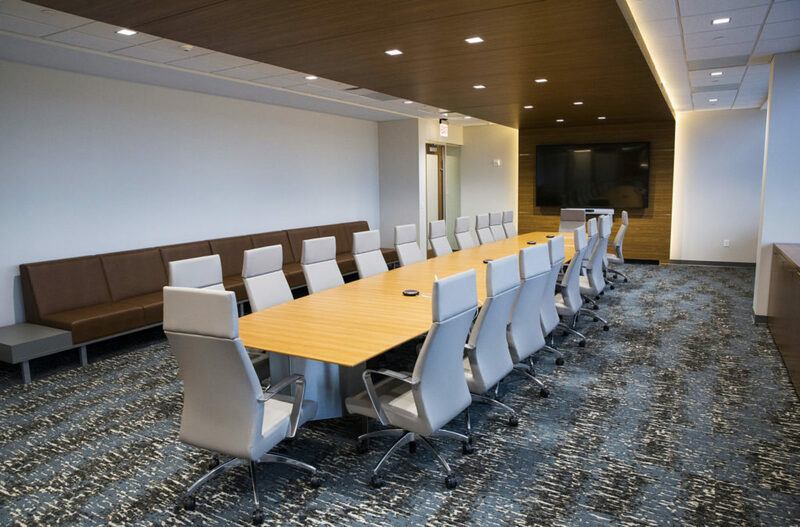 Take a look at the recap below to see what Account Executive Pat Stoehr had to say about the project’s successes and challenges. What were you most excited about in the early stages of this project? 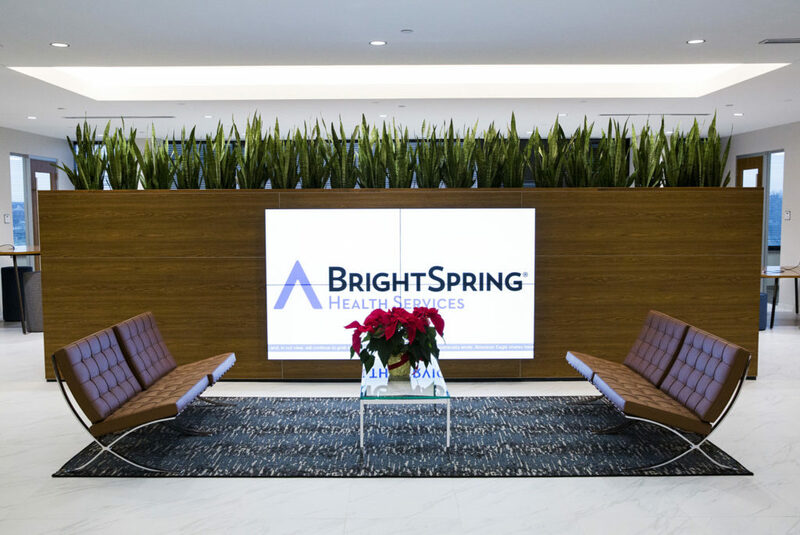 Pat: After many discussions with BrightSpring where we learned about their goals for the space, I knew the project would be a great opportunity to incorporate collaborative space to help foster increased employee engagement. 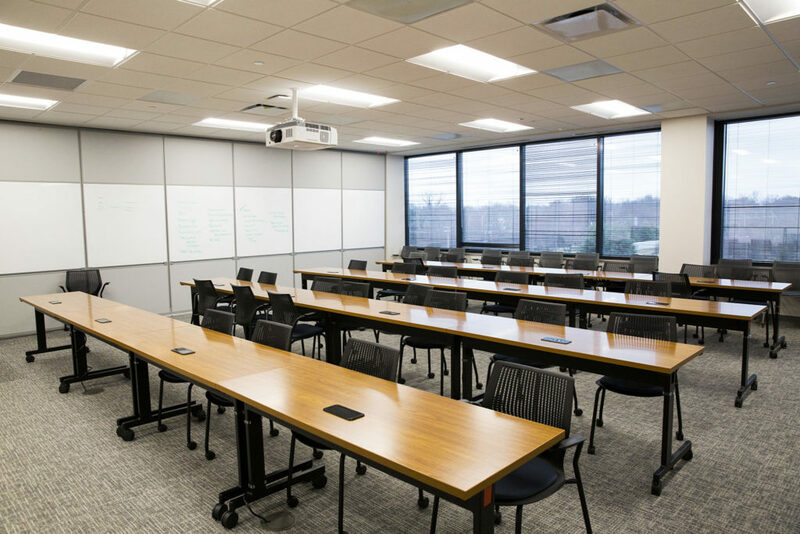 Additionally, this was the first large corporate headquarters project for the RJE Louisville team, so we were excited to get started! Were there any risks you knew about from the onset of the project? Pat: We knew the timeframe would be tight with new construction and a strict schedule for client move-in. What unexpected challenges did you face? Pat: Most of our challenges were related to the construction timeline. Due to some permit issues, we had to divert 21 truckloads of product to a local warehouse and then re-deliver to the project site for installation. Thankfully, our project manager worked diligently to ensure a smooth process for our client and vendor partners. What was your timeline for this project? Pat: We had one year from project award to get the project completed and move-in ready for BrightSpring’s employees. What is your favorite area of the installation? Pat: Their cafeteria space called The Hub. It’s a beautiful two-story space with a connecting stair. 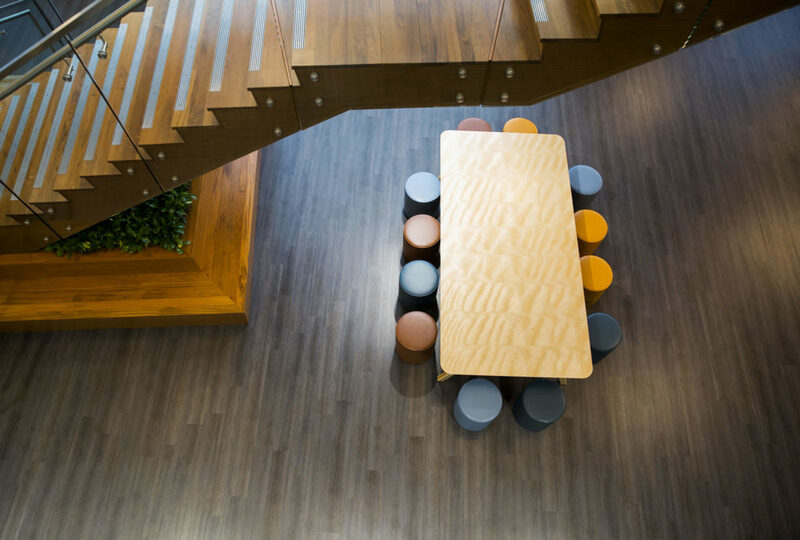 It’s a great blend of hospitality and collaboration spaces. What was your proudest moment for this project? Pat: I am most proud that the team was able to adapt quickly to accommodate delays and still get the project completed on time. It was not easy, but we pulled through! Want to see more of RJE’s work? Head to our Project Profiles page.